Legislation from 22 years ago, used to entice the building of rental units, could end up killing rent control in Ontario. To all renters in Ontario: Beware of a lack in rent control. Last week the Toronto Star published an article that highlighted a “loophole” in the Residential Tenancies Act. The problem is this isn’t a loophole. The lack of rent control, highlighted in the article, in new, downtown Toronto condos doesn’t just apply to condos. Nor does it only apply to rental units in the City of Toronto. The rent control exemption applies to any rental unit in the province of Ontario that was built, or came onto the rental market, after Nov. 1, 1991. To understand this better let’s assume a landlord bought a row house in Toronto’s east-end neighbourhood of Leslieville in 1995. While the home was built in 1900, the landlord is the first owner to split the home into two units and began renting these units out. Because the two rental units came onto the market after 1991, the landlord does not have to follow the rent increase guidelines or the rent control legislation as set out by the Residential Tenancies Act. Some Toronto landlords are using this exemption to dramatically raise rents in their downtown condos. As the Toronto Star article aptly pointed out some tenants are getting slapped with rental increases that are three times greater than the 2.5% annual rent increase that’s provincially mandated. The only legal recourse a tenant has in this situation is to give notice and move prior to the end of the lease. A tenant can give notice of termination of lease (regardless of the lease end date) within 10 days after receiving a rent increase. The problem is most tenants facing a rental increase in downtown Toronto are having a hard time finding cheaper rental units. Part of the problem is that there are not enough rental units in the downtown core to accommodate the number of renters who want to stay close to city’s financial, shopping and nightlife hubs. It’s the classic dilemma of supply and demand. There is more demand for downtown rental units, so rental prices are starting to rise—sometimes dramatically. These days tenants attempt to negotiate with their landlords in an effort to minimize rent increases and highlight their track record as a good tenant. “Very few landlords are taking advantage of this exemption,” says Aaron, who, as a landlord himself, has never used the exemption to introduce higher rental rates. He explains that most long-term property investors understand that good tenants are hard to find and the way to keep a good tenant is to leave a little money on the table. By charging a little less than market rent a landlord can keep a good tenant longer, which is worth a lot more than a few hundred dollars more. While tenants in downtown Toronto—or other areas of the province—may not like the idea of arbitrary rent increases the reality is these landlords are well within their legal rights. (For a great take on the situation read Garth Turner’s blog post.) And with more and more rental units coming on to the market well after the Oct. 31, 1991 cut off, it’s only going to get worse. 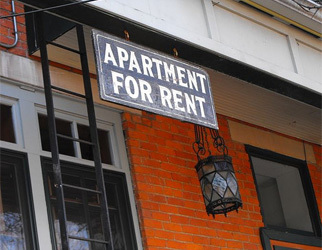 More buildings and rental units will be exempt from legislated rent control.